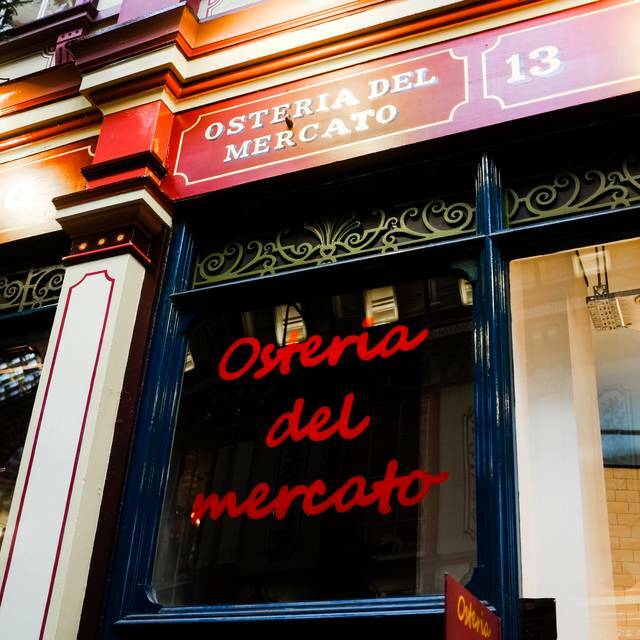 Filled with natural light and slick city types, this first-floor Italian restaurant in Leadenhall Market is a stylish eatery with a vibrant energy and understated décor. 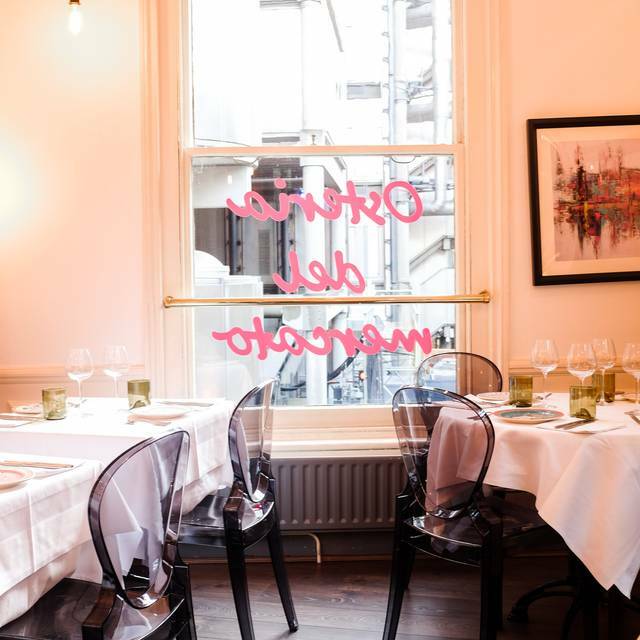 The dining room at Osteria del Mercato is bright and airy, and decorated with oak floors, blonde wooden furniture, crisp white linens and an array of colourful china and glassware imported from Italy. Ideal for business meetings, romantic tables for two and intimate dinner parties, the menu at Osteria del Mercato is filled with suitably posh pastas and authentic Italian dishes – we love the swordfish tartare with fennel salad; the tortiglioni pasta with veal ragu; and the spinach and ricotta tortelloni with butter and sage. 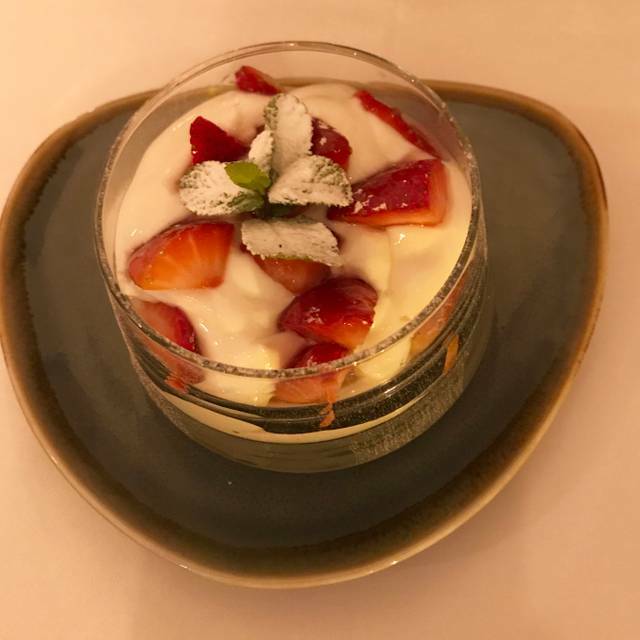 Whilst the food was to a very high standard, the service was incredibly slow - we had 20 minute waits between any visits from the staff, and when other tables were being served, eye contact was avoided so we couldn't even get their attention. Reliable, good quality food and good service in pleasing surroundings. 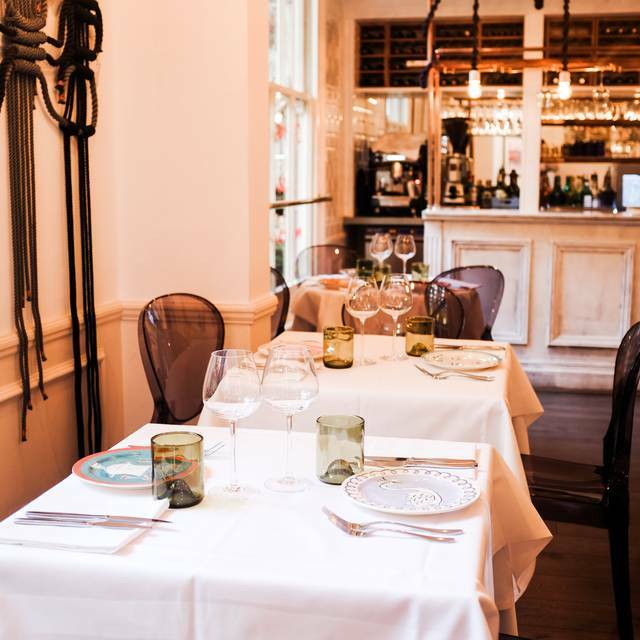 Nice Italian classics in a lovely bright room - a peaceful little haven above Leadenhall Market. Good service, rather overpriced. All was good aaprt from when I asked for fresh mint tea and was told they had no fresh mint but fresh mint appeared on our deserts. Its fresh mint and water. Otherwise a good lunch place staple. Service was good but everything else disappointed: pasta was bad, pancetta was old over cooked lard, cheese tired, bread basket greasy, and prices way out of line with quality. I booked this restaurant for an informal business diner. Good quality food and good wines. We did ask for a number of starters to share. Unfortunately one starter was 3 big prawns and it was not possible to up-scale to 4people which is inflexible. aside of that it was a very enjoyable and tasteful evening. Expensive for a well cooked pasta. Very noisy. Service OK.
Great tasting food, freshly prepared. Portions just right! Very polite and welcoming atmosphere. Fabulous food in comfortable setting in perfect location. It’s a decent venue - food is just ok for the value - very salty though. Food was very good but ambience was poor- it was probably due to January and Tuesday but no one else in the restuarant. We had a great meal here, the pasta was excellent, and would recommend visiting. Great food and setting. Service was a bit lacking and was hard to get attention of the serving staff. A hidden gem in Leadenhall Market but the entrance is easily missed unless you know exactly where to look. Really good for an early lunch. The food was very disappointing and service was slow, keeping in mind this was a business lunch and time was of a premium, I needed to ask a couple of times to speed things up. Always good Italian food. Very reasonable. Lovely staff. An unfortunate choice of meatball risotto! Good Italian restaurant at Leadenhall Market - despite the huge crowd at the pub downstairs it wasn't too busy or loud in the restaurant itself. Food was pretty good, classic Italian dishes. The pasta looked good, duck was okay. Market alarm went off and, whereas I understand this might not have been restaurant's fault, I was expecting some kind of compensation (maybe a coffee on the house?) for having to put up with a horrible noise for quite a few minutes. This is not a good way of treating your customers. A table of 5 actually left, and I dont blame them. I've been here a few times now, and just marking it down a bit for value as the prices seem to have been marked up as word has got around! Excellent pasta - al dente - with rich sauce. Good wine list and helpful friendly staff. They deserve to do well. noisy bank holiday outside quiet in the restaurant. great food. Had more of a modern makeover but still a very good Italian in the City. Limited menu, but preferable in that what they do they do well. Recommended by a friend, I was not disappointed. Really good food, pleasant service and ok prices. A nice short menu was a clue to what would be some really well executed cooking. Prawns with truffle and Humus were amazing and the lamb perfectly cook. Light and airy ambiance and really pleasant staff who seem to think about things from the customer point of view. Not many know about this place, tucked away next to The Lamb. Hidden gem! The restaurant closed for lunch without notice. I was left without a lunch reservation. It must have entered my reservation after the fact as being fulfilled - obviously not true. Not very impressed. Fabulous fresh pasta,, best Italian in Clapham! Place was pretty inflexible. Not a lot to choose from and was pretty darn expensive. Will not be back. Fantastic setting in the heart of Leadenhall. Although the food was good, the barista insisted on continually banging the coffee machine to the point where it became very distracting and almost impossible to have a conversation. This experience alone would put me off going back, which is a shame as, like I've said, the food itself is tasty. Great restaurant that feels nicely secluded but popular nonetheless. Food, wine and service all excellent. Great menu choices too. Lots of fish. Maybe good for business lunch? It was empty at dinner time, food was mediocre (except the bufalla!) and ambience poor. 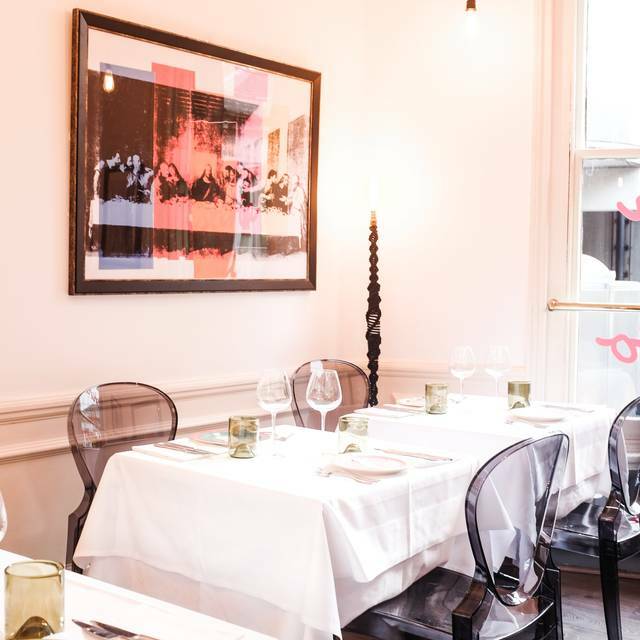 For the price, there’s much better Italian restaurants in London. Service was great (we were the only table). First time at this restaurant and was very happy with the food and service. Good sized portions of fresh and delicious food. Service was also good. Some tables are quite close together so be sure to specify if you need to be seated somewhere a little more tucked away. Also be aware that there are steep steps to climb to get to restaurant. Worth the climb though! Great meal and friendly service. Only criticism is that service can be on the slow side, even before the place fills up and they are really busy.